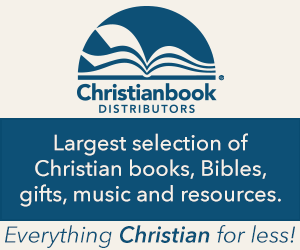 The CEB Study Bible is an all-purpose study bible for the Common English Bible translation. Produced by a large body of well known scholars and sporting a simple but thoroughly readable visual design, this study bible distinguishes itself from the crowd by taking a more open-minded approach to the historicity, date of composition, and authorship of debatable sections of the Bible. However, the appeal of this study bible may be narrowed by its inextricably being tied to the CEB, a translation whose eager pursuit of a laudable goal (to produce a truly fresh translation free from wrongly embedded conservative Evangelical ideas) unfortunately results in uneven quality. The CEB Study Bible is, as its title suggests, a general, all-purpose study bible for the Common English Bible translation. The body of contributors is composed of nearly 70 well known scholars from across the denominational spectrum, many coming from non-denominational seminaries. This makeup reflects its purpose to be a study bible for all churches. In particular, it aims to be a study bible for those who maybe do not identify or sympathize with conservative Evangelicalism. It is worth noting that there is a version of The CEB Study Bible that includes the Apocrypha. The visual design of The CEB Study Bible is simple, pleasing, and easy to read. Cross references are in the outside margin and commentary is clearly demarcated from single-column presentation of the biblical text. A very limited color palette of sea greens and tans keeps the pages free of unnecessary distraction but, at the same time, visually stimulating. Occasional explanatory features and full color images inserted into the body of the text stay tasteful and free of the tabloid style that some study bibles descend into. An even more readable large print version of this study bible is also available. As one would expect, the study bible portion of The CEB Study Bible consists largely of verse-by-verse commentary, book introductions, and a selection of other materials. Particularly noteworthy are thoughtful articles about the Bible and hermeneutics (or biblical interpretation). These articles cover issues such as canonicity, authority, how we got the Bible, and the unity of the scriptures. Many study bibles include some kinds of materials on these subjects, but where The CEB Study Bible’s versions stand out is, again, in their (sometimes nuanced, sometimes dramatic) differences from the conservative Evangelical approach. Now, if I am going to be nitpicky, the fact is that this passage assumes that comparable style implies similar provenance. But it is also possible that Ezekiel and Chronicles are consciously imitating the style of Leviticus. The fact that the Gospel of Luke consciously imitates the style of the Septuagint does not by any means entail that the Gospel of Luke and the Septuagint come from the same time period (they are, in fact, separated in time by hundreds of years). I would have preferred that the introduction say it this way: “Though some scholars believe Leviticus to have been written in the mid to late second millennium BCE (during the time of Moses), its Hebrew language and style matches that of other OT books, especially Ezekiel and 1 and 2 Chronicles. Therefore, most biblical scholars think it was written in the middle of the first millennium BCE, though it likely includes older traditions.” That would be both accurate and fair. But what I really like about this passage is the fact that it does not dismiss majority opinion out of hand or spend an inordinate amount of time presenting a one-sided argument as to why the majority opinion is wrong. Instead, it briefly addresses the issue of date of composition (which, in the end, is not really that important of a question, nor is it a question that can be answered conclusively in a scientific manner) and then spends most of its effort focusing on the literature and the literary/theological questions. Importantly, this passage does not actually deny the historicity of Leviticus. Date of composition and historicity are two separate issues that are often conflated by conservative Evangelicals. What I have seen in The CEB Study Bible is a tendency to discuss the actual biblical text at face value. The issue of historicity tends to be neither confirmed nor denied but left to the reader to decide. A study bible that consistently argued against the historicity of the Bible would certainly be of dubious value, but that does not mean that it is necessary or even productive for a study bible to argue for the historicity of every biblical story. Sometimes conservative scholarship, in its concern for the integrity of what lies behind the Bible, fails to spend enough effort commenting on what lies within the Bible. Though The CEB Study Bible has considerable strengths, one must acknowledge that the main reason it exists is to be a study bible for the CEB translation. Other than a more open minded approach to the full breadth of biblical scholarship, what is truly unique about this study Bible is that it accompanies the Common English Bible translation, so any evaluation of The CEB Study Bible must take this into consideration. I have written a longer assessment of the CEB’s strengths and weaknesses as a translation, so here I will give just a summary. The CEB is a blend translation (roughly equal parts word-for-word and thought-for-thought) that leans slightly toward though-for-thought. This makes it less like the NIV (New International Version) and the CSB (Christian Standard Bible; formerly the HCSB) and more like the NLT (New Living Translation). However, while traditional conservative Evangelical ideas are noticeably embedded in the NIV, CSB, and the NLT, this is less true of the CEB. Rather, one can perhaps see a predisposition toward ideas and values more associated with mainline Protestant denominations. Certainly, there is an eagerness (in my opinion, often an over-eagerness) to re-render every part of the Bible in a non-traditional way. Sometimes this results in improved translations (Hebrews 12:2), but other times it results in awkward and even wrong-headed translations (one example I examined was Genesis 15:6, where Abram’s justification by faith is turned, against the grain of the text linguistically and literarily, into God recognizing Abram’s moral virtue). My recommendation concerning the CEB is that it works well as a second translation, but I would not recommend it as one’s primary translation. If it were simply a matter of theological disposition, that would be one thing, and I certainly appreciate the translation’s willingness to re-examine translation issues that are typically passed over in the most popular translations. Even though the bulk of the translation is just fine (and some of it is really quite excellent), the CEB’s overeagerness to distance itself from conservative Evangelical ideas, especially at critical points in the Bible, results in what I feel to be a higher concentration of inaccurate and idiosyncratic readings. I feel that I can recommend the study bible portion of The CEB Study Bible more whole heartedly than I can the translation. With excellent notes, well written and insightful articles, a pleasing design that is easy to see and understand, and an open minded approach to the full breadth of biblical scholarship, as a study bible it is one of the best products on the market. In particular, I find it refreshing that the study notes are not tied to wooden literal historicism, focusing on the spiritual content of the scriptures and not feeling compelled to turn the entire Pentateuch section into an apologetics handbook for young earth creationism and Mosaic authorship. To me, then, it is a shame that the study bible notes, book introductions, and other study matter are inextricably linked to the CEB translation. Fortunately, the scholars involved in the production of The CEB Study Bible tend to be active in producing other study materials, as well, so the scholarship certainly is not lost. If you like the CEB translation, or if you do not have a CEB and would like to have one as a secondary translation, you have a real winner of a study bible in The CEB Study Bible. If, on the other hand, you are like me and have reservations about the quality of the CEB, you might want to look elsewhere.